Adorable 3 bedroom, 2 bath Ranch on full basement with 2 car garage. 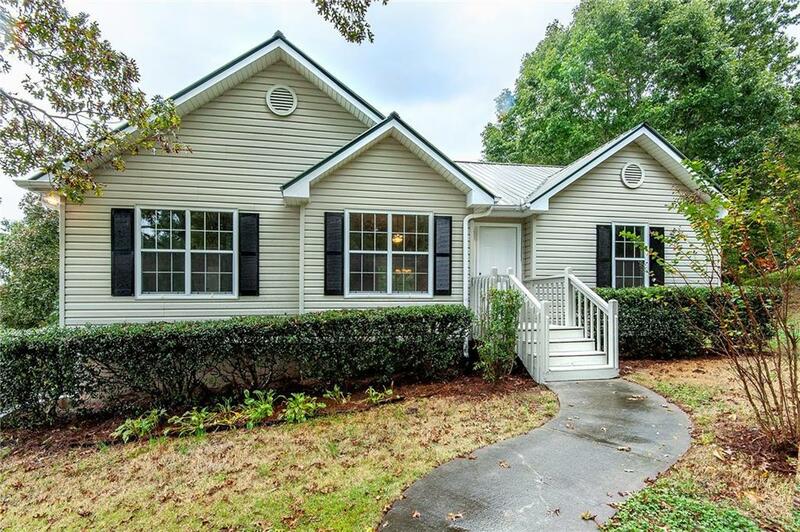 This home is clean and bright; move in ready with new flooring throughout! Enjoy the spacious living room and eat-in kitchen with beautiful granite counter tops. Large master bedroom with en-suite and walk in closet. Split bedroom plan with 2 secondary bedrooms and bath. Enjoy the cooler weather with the gas fireplace in the living room. Kitchen opens to deck overlooking the back yard. Directions: I-75 To Exit 306 For Ga-140 Toward Summerville/Adairsville. Go Approx 3.6 Miles To Lt Onto Twin Bridges Rd. Rt On Westover Dr. Home On Left.